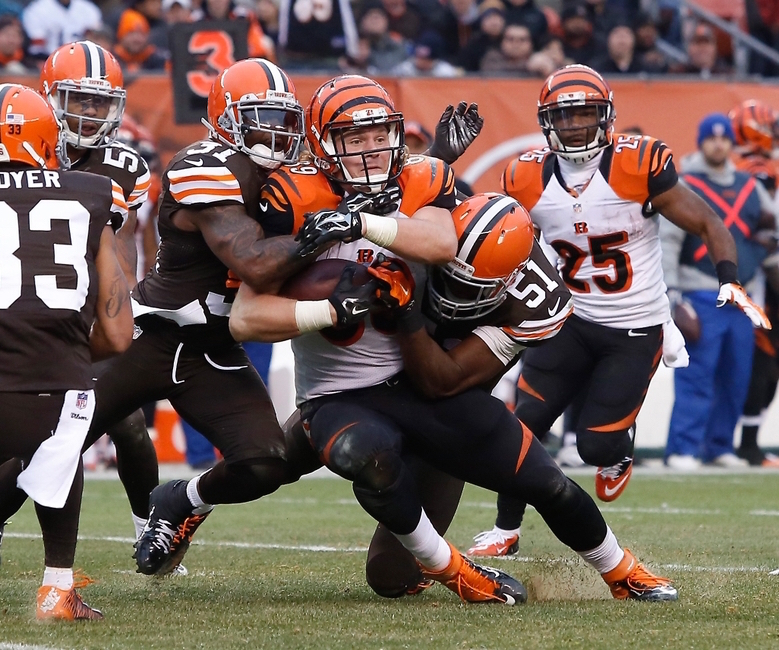 Browns defensive depth chart: PFF fair or not? Following their first non-double-digit-loss season in seven years, the Cleveland Browns will be looking to its defense to improve in one critical area if they want to build on the 7-9 finish of 2014. We’re talking, of course, about the run defense. Last season, the Browns were last in the NFL in rushing yards allowed per game, 27th in yards per carry, and 28th in runs of 20-plus yards by opposing ball carriers. The Browns were the favorite opponent of running backs across the league, as teams ran the ball 500 times on the Browns with 87 of those rushes gaining eight yards or more. Pro Football Focus examined the defensive depth chart for the Browns, ranking each player in one of seven categories: Elite, High Quality, Good, Average, Below Average, Poor, Not Enough Info, Rookie and Rookie Undrafted Free Agent. According to their rankings, the Browns’ defense is solid, but still has some work to do. Seven presumed starters earn a ranking of good or better, while three of the remaining four are just average or worse. We take a look at each position group, see how PFF ranked the players, and determine if the ranking is fair or not in our latest post at Dawg Pound Daily.